Welcome to MedicPresents.com’s free medical presentations’ section. This section of the website hosts Free Alternative medicine Medical PowerPoint presentations and free Healthcare PowerPoint presentations. 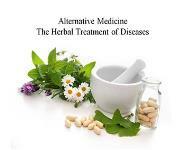 Welcome to MedicPresents.com’s free Alternative Medicine presentations’ section. This section of the website hosts Free Alternative Medicine PowerPoint presentations and free Ayurveda PowerPoint presentations prepared by doctors, academicians, students and other professionals, who often create Alternative Medicine presentations for hospitals, universities and other organizations. 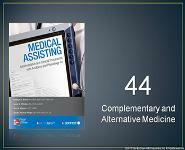 Alternative Medicine PowerPoint presentations are an important element of the professionalism in the field of Alternative Medicine. A Good Alternative Medicine presentation however, requires lots of research on the subject and off-course a competent subject matter expert on alternative medicine. As it is our vision, we take the responsibility of helping you out with research by providing you with free professional Alternative Medicine PowerPoint presentations. It is MedicPresents.com’s vision to relieve medics of the hard work of research on the subject matter of the selected topic of your Alternative Medicine PowerPoint presentation. 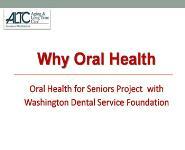 As such, the medical website provides medics with professional Alternative Medicine PowerPoint presentations for free. These free Alternative Medicine PPT presentations are all focused on the content needs of the Alternative Medicine and Ayurveda fields in healthcare industry and focus on Alternative Medicine themes, terms and concepts. 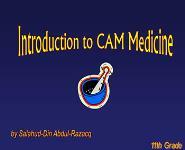 We invite you to download the free Alternative Medicine PowerPoint presentations under this section. This section of the website provides medics with a huge library of free Alternative Medicine PPT presentations with topics like Healthy Lifestyle, Body Care, Alternative Therapy, Acupuncture, Herbal Medicine, Homeopathic Medicine, Skincare and many other Alternative Medicine concepts and themes. These free Alternative Medicine PPT presentations are for medics including doctors, healthcare professionals, academicians, marketing professionals and students etc. PowerPoint presentations on Alternative Medicine are frequently searched online these days and hence we came up with this digital library of free Alternative Medicine PowerPoint presentations for medics on various Alternative Medicine Themes. This section of free Alternative Medicine PowerPoint presentations on our website contains Alternative Medicine presentations prepared by medics who often need to create powerful Alternative Medicine presentations for Hospitals, Universities and other medical and healthcare organizations. Our Alternative Medicine PowerPoint presentations include presentations on Alternative Medicine, Beauty and Health, Ayurvedic Medicine, Herbal Medicine, Aromatherapy, Wellness, Ayurveda, Homeopathic Medicine, Healthy Lifestyle, Body Care, Alternative Therapy, Acupuncture, Herbal Medicine, Homeopathic Medicine, Skincare and many more concepts and categories in Alternative Medicine. 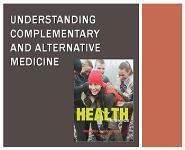 If you are going to prepare an Alternative Medicine presentation to present in a seminar, workshop or conference, you can compare with multiple similar Alternative Medicine presentations given here. At times, you are busy and really constrained of time. In such situations you can use these Alternative Medicine PowerPoint presentations as they are, without any modification or with slight modification. During such instances, please give the authors the credit they deserve and do not change the author's name if you download the Alternative Medicine presentations. MedicPresents.com is a presentation sharing tool for medics that enable you to easily upload and share Alternative Medicine presentations online. And the platform lets you make your Alternative Medicine presentations as private or as public as you want them to be! Upload and share Alternative Medicine PowerPoint presentations online and give those more exposure by sharing them on social networks (Google+, Facebook) or embedding into any website or blog. Not just free Alternative Medicine PowerPoint presentations, MedicPresents.com provides you with free Alternative Medicine PowerPoint templates to prepare your Alternative Medicine PowerPoint presentations. The medical website provides you a huge library of Alternative Medicine PowerPoint templates to choose from. These free Alternative Medicine PPT templates come with great slide transitions and easy to customize templates. So, what are you waiting for? Start browsing to download the free Alternative Medicine PowerPoint templates for those ultimate Alternative Medicine PowerPoint presentations. MedicPresents.com is a free online resource where you can download more free stuff for medics including free Alternative Medicine notes, free Alternative Medicine Word Document templates and free Alternative Medicine WordPress themes. Our free Alternative Medicine templates can be used in personal and commercial Document and Brochures.